The post has been shared by	477 people. If your motor has three black leads and a green lead then it is likely three phases. The three hot leads are usually labeled U1, V1, and W1 and the final lead is labeled ground. 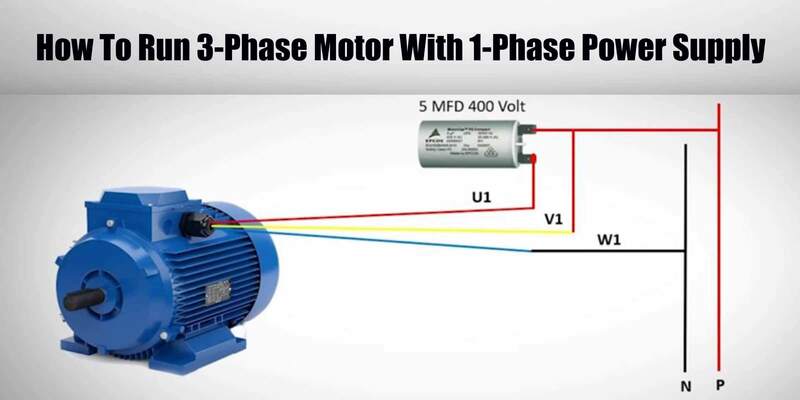 Running a three phase motor on single phase power is simple. First you’ll need to invest in a variable frequency drive.